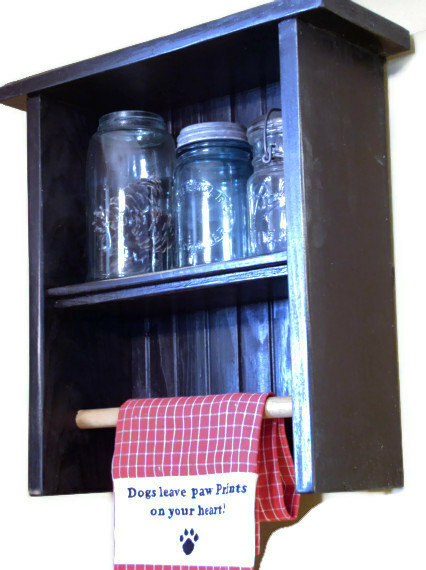 Painted Furniture Black Kitchen Organizer Towel Bar Shelf Farmhouse Primitive Distressed Shabby Chic Cottage by Laurie Rohner. 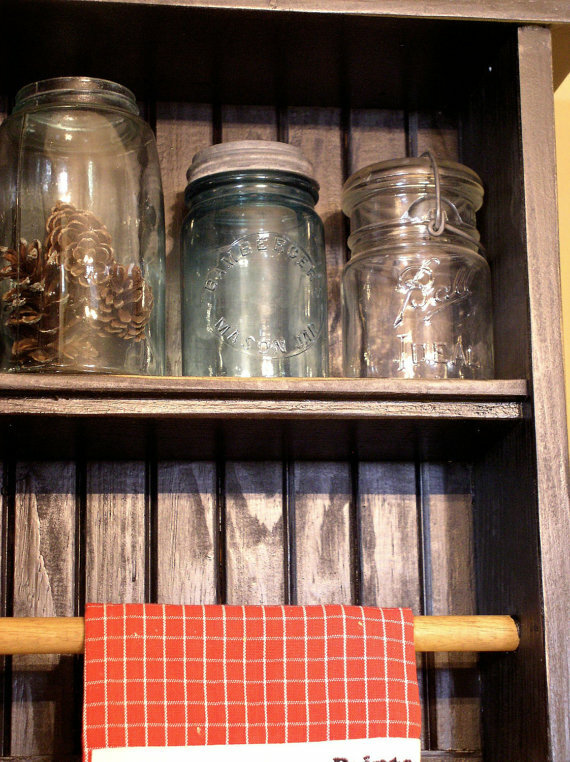 Cottage Shabby Chic Kitchen Organizer. The finish is distressed and sealed with a varnish and wax. 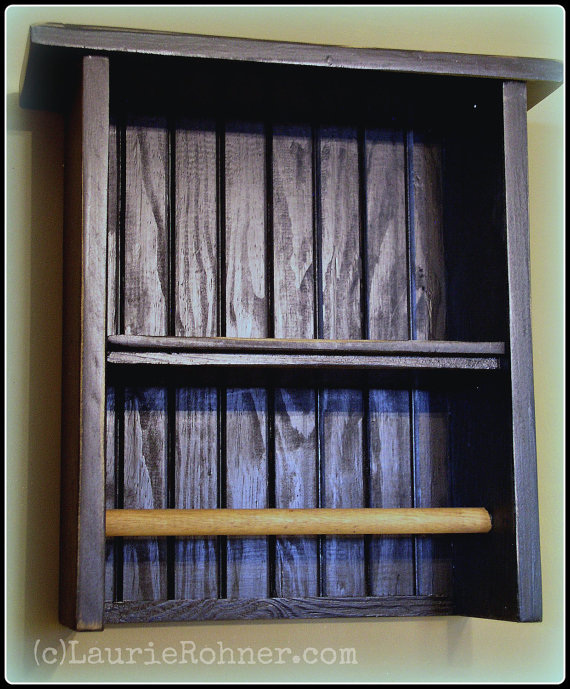 Made from vintage re-purposed bead board, pine and poplar wood. I built this to take a beating. It is sturdy and ready to hang with movable metal hangers. Handmade custom Farmhouse Kitchen Decor. Great for Bath too. Overall measures: 15.5" wide x 16.25" high x 6" deep. Shelf is 11.5" wide x 5" deep and has a 7.5" height. Towel bar is 11.5 " by 3/4". The towel bar is fixed in place.